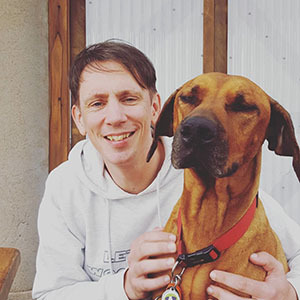 Metro Animal Rescue and Adoption is an organisation that was started to give further support to animals that need new homes within the western suburbs of Melbourne. We are a no-kill organisation that relies on foster carers to transport and provide safe housing and comfort to those in need. To find out more about our kittens and cats please call or text Tricia on 0412 122 612. You will be required to complete an adoption application and agree to a care agreement. A meeting can be arranged with view to adopt, kitten or cat may be in foster care. We are able to rescue by fostering our kittens and cats to a network of foster carers across Melbourne. Deposits will be accepted however only after an adoption form has been completed and approved. 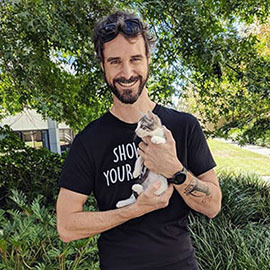 Kittens may require de-sexing before they can leave the care of the foster home as they may not have been de-sexed as yet due to reaching weight level. 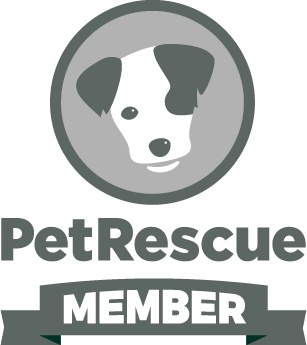 All Metro Animal Rescue and Adoption adoptees are vet checked, de-flea, wormed, immunised and de-sexed. 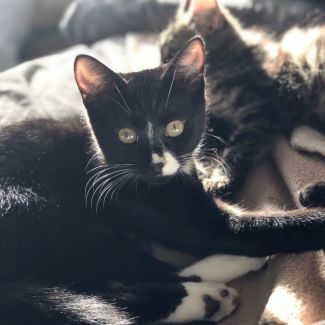 All adoptions come with a 7 day guarantee to cover any illness that may have been present pre-adoption, the kitten/cat can be returned with a total refund. Return off cat/kitten must be accompanied by a letter from a vet. All adoptions require a suitable cat carry cage big enough to ensure a cat can have room to stand, no cardboard boxes or boxes that are not pet carrier specific. Bella is a cheeky little girl in a litter with 3 other brothers. She loves chasing string or chasing some wiggly toes under a quilt. Bella is shy to new people she doesn't know but warms up to them after a play. She loves a cuddle and a pat, espically on her tummy and her loud purr will show how happy she is. Bella would be a great addition to any family home, either by herself or with other furry friends. 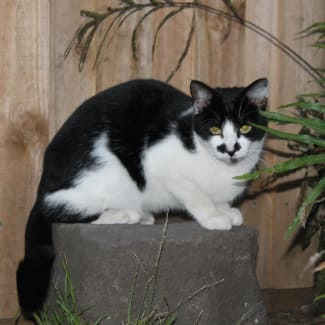 Bandit has his name as he is a shy boy but when he gets to know you he is super super affectionate and very cheeky. Bandit is a chatter, he will lay next to you and start chatting, then it will follow with a face rub. Bandit is a bed and lap cat, he likes to sleep or sit right next to you, he doesn't really liked to be picked up (that will change with practice). When he meets new people he is very shy, when he gets to know you he is super affectionate and just wants to be patted and touched. Bandit has a habit of standing in his water bowl, if he can't stand in it he will not drink it. He is a very easy cat to care for. Bandit would do well in a home on his own or with a friendly confident cat or two. Bandit is fine with calm cat friendly dogs. 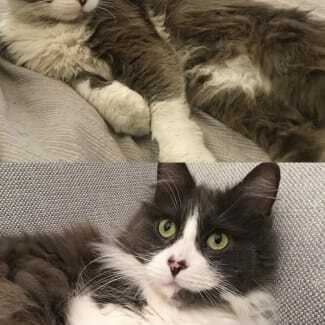 Bandit is available for fostering, the fosterer would need to be a confident cat person that can develop Bandit into a confident cat, also it would have to be a foster situation until he is adopted. Ideally Bandit wants his forever home. Blake is such a cheeky little kitten! He loves exploring new places and meeting new people. Blake is a little shy as you first meet him but quickly warms up after a little cuddle. Blake loves climbing anything and everything! From couches to chairs to wooden blinds, he'll find a way to climb it. He also loves running up and down hallways with his siblings and chasing string and laser pointers. If there's a patch of sunlight in your house, Blake will be sleeping in it! Blake would be a great addition to any family, and would be fine with other fur babies in the house. Cedar is still finding himself, he is a beautiful boy that wants cuddles but he is still challenged by his shyness. Everyday Cedar is becoming more confident, he will come and lay with you on the couch, will go to bed when you do and happily sleep beside you. He loves his pats and enjoys a cuddle. 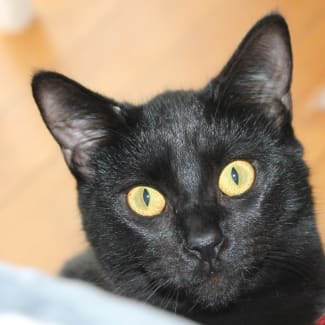 He does get a bit spooked by sudden movement but everyday he is getting better.. Cedar will grow into a big sleek black cat, he has a beautiful soft coat that responds well to a light brush. 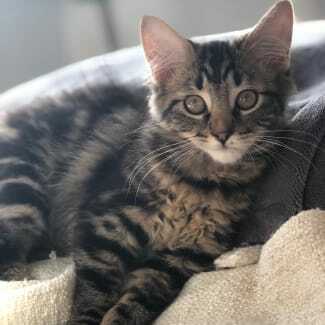 Cedar would do well in a home were he is the only cat or he has other cat brother and sisters. Cedar has lived with a cat friendly dog. Cedar is available for adoption or foster care until he is adopted. Loki is a beautiful boy that only wants to your bestie. Loki is very affectionate to his humans, he doesn't really like other cats, he apparently use to, but he has changed his mind and now he wants to be the only fur baby. Loki likes to be sitting next to you, he will sit beside you or on you, he is polite about his affection, he doesn't force his need for scratches and pats, he does try to hypnotise you by his staring and doing squint eye seduction look. Loki is a communicator, not overt, just the right amount for you to know what he wants. Loki would like to spend his life being important, cuddled, allowed on your bed, allowed to sit with you and get the love he wants and needs. The person who adopts this man will love his big boyish character, fluffiness and happy personality, also his kitten antics. Loki still likes to play, he does wear out quicker than a kitten, however, he still has that little spark in him. He probably plays about 10 minutes a day, after that he will have a well deserved nap and then looks to see what you are up to. Loki is a smart, friendly and affectionate beautiful boy. Loki would be ok in a large unit, wouldn't go well in small environment. Loki is in foster care at St Kilda.